We do a wide variety of folded pieces everyday. 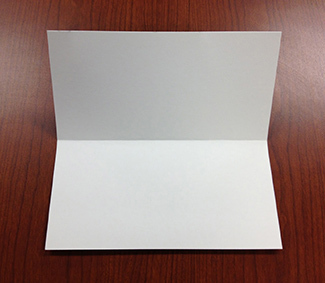 From basic single folds to letter folds to even right angle folds. We can fold sheet sizes as small as 5 x 7 (to 5 x 3.5) to as large as 14 x 20 (to 14 x 10) and everything in between. Heavier stocks will require a score prior to folding.